"Sending my sincere condolences to the family and friends. 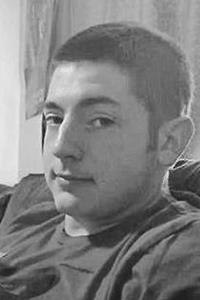 I..."
CORNVILLE - Adam Vincent Fine, 21, of Skowhegan, recently lost his life in a tragic accident, demolishing a house he had recently purchased in Cornville, which collapsed, killing him and injuring his friend. He is survived by two brothers; his fiancé, Kara Rawlings; a mother, Charlene Fine of Phillips, and a father, Glen Fine of Cornville. He was born June 6, 1997, and spent his childhood growing up in Cornville. Always known for his energetic personality, and endless tenacity, he was well known by many, and heard of by everyone. He worked at Alcom LLC in Winslow during the weekend, and in his off time, spent a large amount of time working on projects, typically restoring video game consoles and old arcade units, as well as tinkering on the occasional car with his father. Always one to try and find a deal, he also liked to buy and resell things if he thought he could make a buck. Other hobbies include collections such as coins, pop memorabilia, Magic the Gathering, and his own retro games collection. On Mondays he also liked to go spend the day with his eldest brother, either working out or nerding out, sometimes both. His service, tentatively named a going away party, will be on Friday, February 8, from 4-8 p.m., at the Poulin-Turner Union Hall, 653 Waterville Rd., Skowhegan, and will be open to all who wish to stop by and say a few words, or say nothing at all. All are welcome. The theme will be retro or modern games and nerd culture. The best donations to be brought will be personal artwork to display, plushies, handwritten notes, or just a friendly goodbye. Art stations will be available to make something to place on his memorial, as well as a potluck area, catering, games and music. He will be missed by many, and will not be forgotten.